While the point of Conformation events (Dog Shows) is to define the best breeding stock of pure-bred dogs, many responsible dog owners would like to compete in the show ring with their pet dog whom they had altered. The United Kennel Club offers “Altered Conformation Classes”. 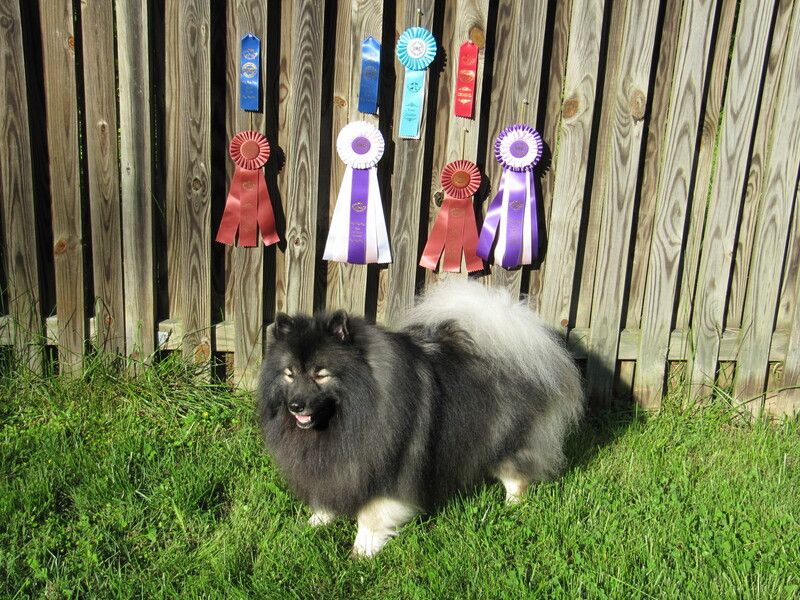 Here, my neutered 1 and a half year old keeshond, Clancy, proudly stands in front of his earned ribbons. When I got my keeshond puppy, Clancy, I decided I wanted to try every dog sport I could with my dog. Though I had little interest in breeding Clancy, I did want to continue to show him. 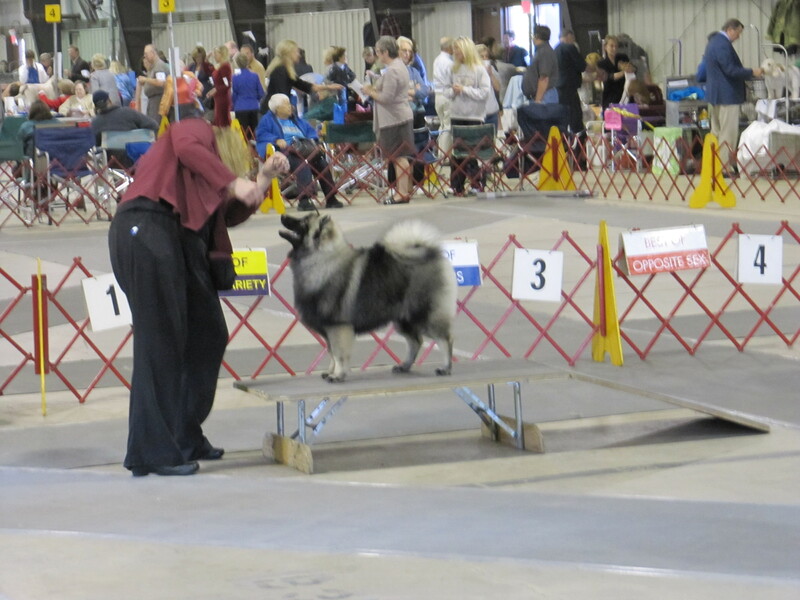 I enjoyed the excitement of being in the show ring and admiring all the other beautiful dogs. 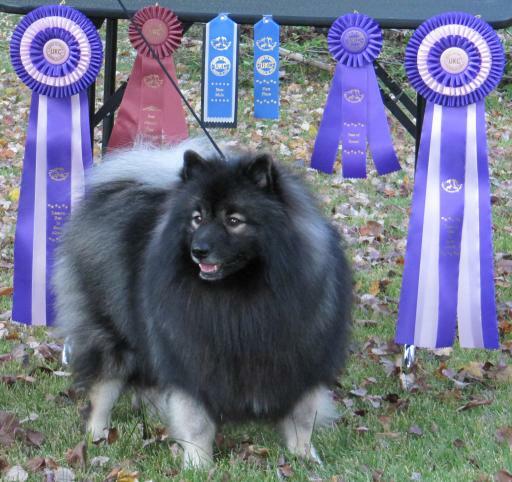 Most of all, I enjoyed talking to and learning from the other keeshond owners. So I contacted Clancy’s breeder to discuss obtaining a “Full Rights” AKC registration and was given the option to do so because she believed in us. Responsible dog breeders try their best to prevent people who buy their puppies from irresponsibly breeding them, so I appreciated the trust that my breeder had in me to give me that option. While I thought about the decision (full rights cost more money), I unfortunately discovered that Clancy had a health concern so I decided to get him neutered. There were many other things we could compete in besides Conformation… but here I had such a beautiful dog and I wanted the show ring experience. Then someone introduced me to the United Kennel Club (UKC). 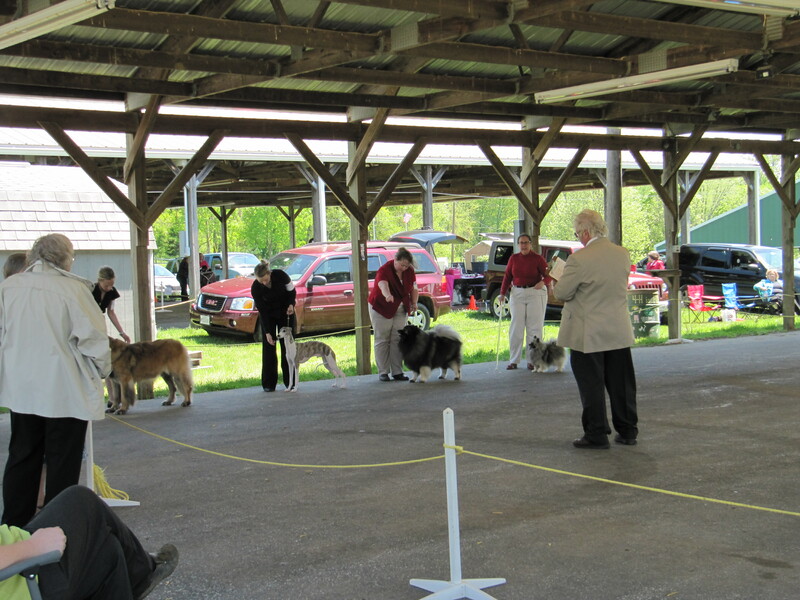 In conformation events, the judge inspects each dog to compare it to what the breed standard is. The dog that most closely compares physically and characteristically to what it is supposed to be, wins. Only those dogs that best represent their breed and have had various health testing should be allowed to breed to produce future generations that uphold those standards. (Breeding should ONLY be done with health-tested dogs that closely adhere to the breed standards with the goal to improve the specific breed of dog. It ends up costing more money than what’s made selling the puppies. It should only be done by knowledgeable breed enthusiasts.) So, that is essentially the reason to show dogs. However, there’s people like me that want to “do it for fun” or to practice for a future show dog career, so it’s wonderful that the United Kennel Club provides an avenue to do that. Clancy competing in the UKC Best in Show Altered. 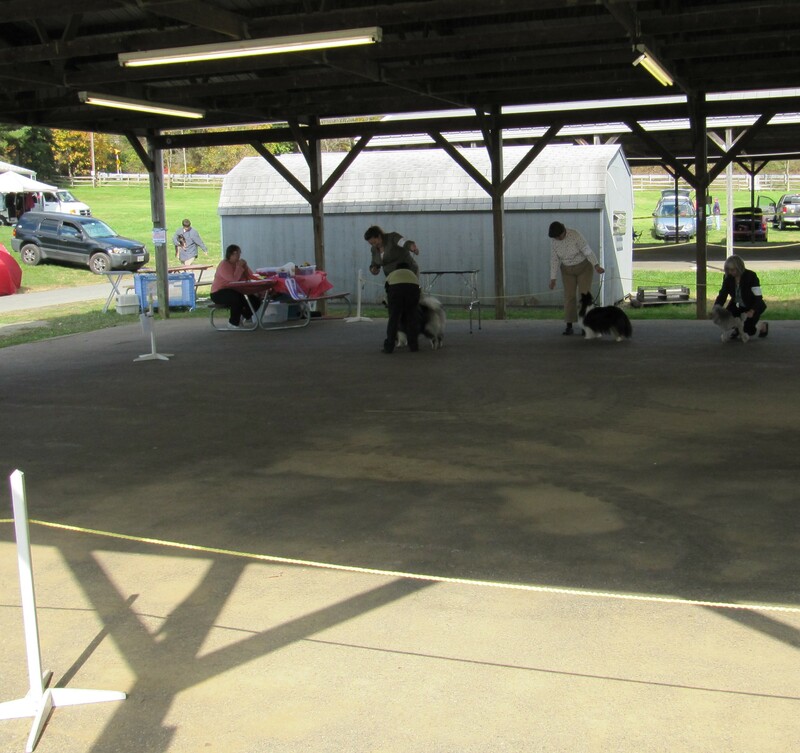 Clancy rocked the ring and won Best in Show (UKC – Altered)! He also earned two legs towards his UKC Rally 1 title on the same day! Clancy and I did 4 UKC events on the same day! Here’s the results: In the morning we earned 2nd place in Rally O1, and Best in Show (altered class)! In the afternoon, we earned 1st place in Rally O1 and Reserve Best in Show (altered)! A good day! UPDATE (JUNE 2013): Clancy just received his ALTERED CHAMPION certificate in the mail! Woohoo! He now has ALT CH in front of his UKC registered name.